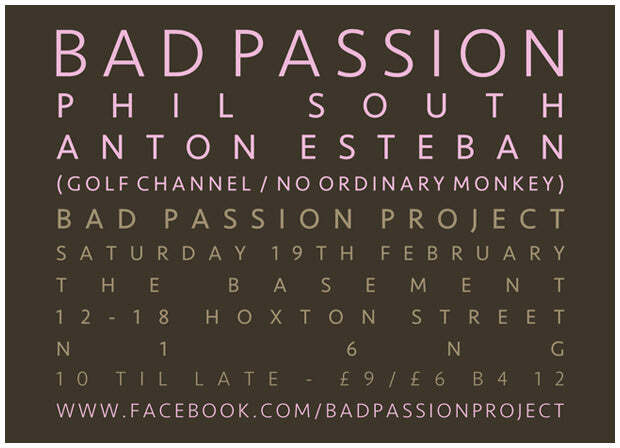 Bad Passion Project – a collective of musicians, DJs and promoters, offering up an eclectic mix of music, at oddball venues across London. In the past they’ve played host to dj’s like Phoreski, Steve Kotey, A Mountain Of One, KZA (Force of Nature), Eric Duncan (Rub-n-Tug), Idjut Boys, Mudd, Soft Rocks and Kenji Takemi to name just a few… It’s also worth us mentioning one third of the Bad Passion Project, Chris, is also partly responsible for one of OiPolloi’s favourite, contemporary brands – Folk. Can you repost the mixtape link? It’s no longer embedded in this post.